John started the company in 1989 and has spent all of his career in communications. 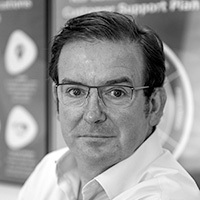 As business owner, John is responsible for the development and execution of the company strategy, with a long-term view of developing a wider range of services. The longevity of the company and retention of many customers from the early days is testament to the first-class customer service the company has always strived to achieve. Outside of the office, John spends time with his two daughters and a soppy golden labrador dog called Mayo. He also competes in land based Blokart sailing competitions and is a keen flotilla sailor and surfer. 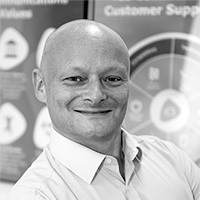 As Managing Director, Ben is responsible for ensuring that the company products and services are the best fit for every customer and is passionate about customer service. He leads the team to deliver a professional and friendly service with the reassurance of a local approach, backed up by a broad range of expertise and resources. Away from the office, Ben has three daughters who keep him busy and is a keen cyclist.